Many email marketers have been looking to make their email marketing programs more effective, easier and more time efficient. Marketing automation seems to fulfill the promise of saving time and adding impact to your email program. 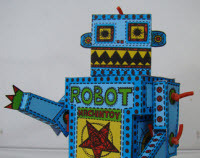 So what are the key elements of marketing automation? And what should you look for? People will have slightly differing views on its exact meaning and interestingly some people will have a different name for what I call marketing automation, but ultimately it’s all about a process that uses insight devised through data collection. You can in turn use this customer insight to nurture customers via the set-up of automated campaigns. Campaigns produced through marketing automation are extremely targeted and highly relevant to each individual consumer if the right (email) data analysis is used. This can give a complete 1-2-1 experience between the brand and the customer. The big difference between CRM and marketing automation – Timing! It is the big difference between automated or just email marketing software. In the marketing automation world we can get very close to real time, especially when we are using a behavioral email ESP, it becomes so much more powerful than offline CRM. An obvious example would be a basket abandonment email program, but it’s actually about how all forms of communication can be handled quickly and most importantly how quickly data can be captured and processed. Marketing automation takes the strategy of relevance and targeting one step further. By feeding all customer activity into one integrated database, marketers can understand how they should be targeting their users. It provides the ability to automatically set up campaigns, marketing automation saves companies both time and money. It’s the ability to do all this in a real time situation that lifts it above things like offline CRM. It provides the means to ensure you are covering all 4 R’s: effectively targeting the Right people, with the Right message, at the Right time and through the Right channel. As you can see, the data comes from various sources so it’s vital this database is built to handle all these sources and is not just plugged onto the side of something existing that does not have the capabilities for such a job. At the heart of marketing automation is the database holding all customer data in one place. Using this, marketers can effectively assess the patterns and correlations leading to a sale and therefore build the correct strategies to effectively target and nurture users. Unfortunately many people think they can begin marketing automation by integrating digital data into an existing CRM database – WRONG! Unfortunately it’s not that simple due to the nature of online data. Offline data is based on household name and address, whereas online data is based around email address and cookie data. Offline data works well with just a daily update, online data is more real-time. For many marketers, marketing automation is a big step towards getting all the 4 R’s of real-time marketing. So make sure you have the right system that can fulfill that promise. 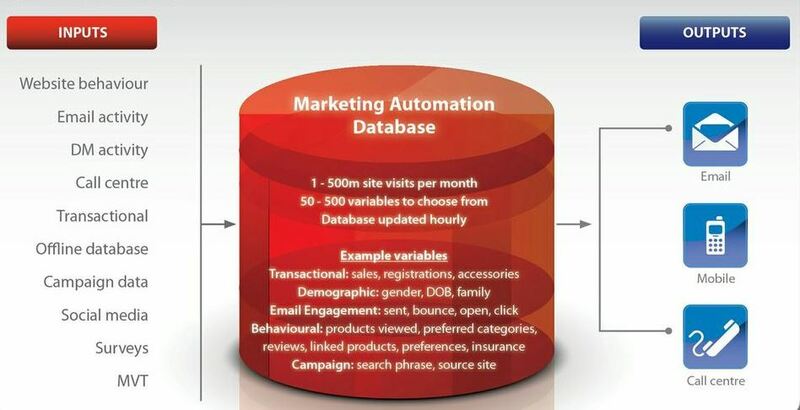 More about the requirements of a real-time marketing automation database and beyond in my next article. 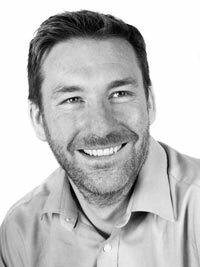 Garry has worked in online marketing and optimisation for over 18 years and has a strong history of data-driven innovations: He produced the first UK results from data-driven behavioural emails, led industry-setting analysis of tracking technologies and launched a leading media attribution system. In addition to being the overall ‘profit and loss guardian’, Garry manages day-to-day operations within RedEye, as well as strategic roadmaps and product R&D. He was previously responsible for account management, product and technical divisions but cut his teeth as an analyst wielding early web analytics tools. You can follow garry here on Twitter.